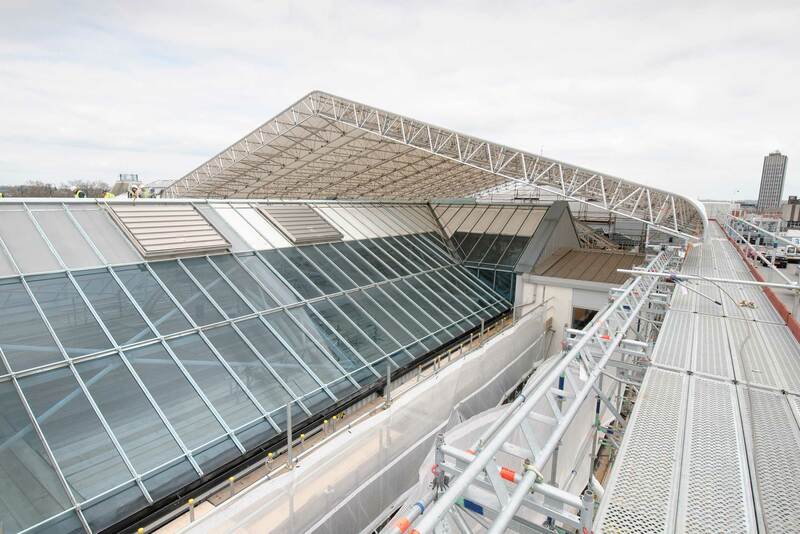 Extensive roof-glass replacement at Leicester’s Highcross Shopping Centre – undertaken by specialist glazing company New Glass Structures Ltd. for main contractor, Trant Construction – has gained significantly from the new Keder XL temporary roofing system. 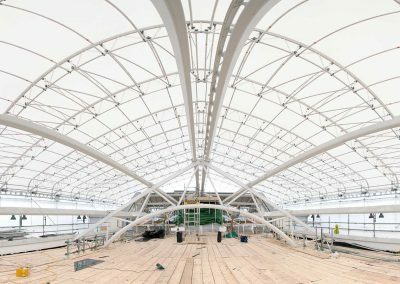 A Keder XL roof, 35 metres in length with a 22 metre span, was installed by Pro Access Scaffolding on to nylon castors mounted on rails installed along the full 100 metre length of the roof above the centre’s east mall. 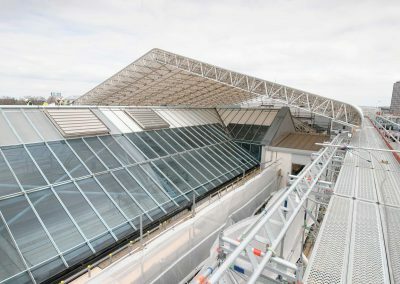 The roof was readily repositioned as the work proceeded and was easily moved aside to provide crane access for the glazing panels. 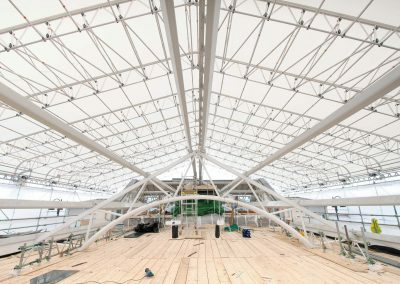 Because the temporary roof was located over just one third of the full work area, the support scaffolds, built from the Centre’s car park alongside, could be minimised. 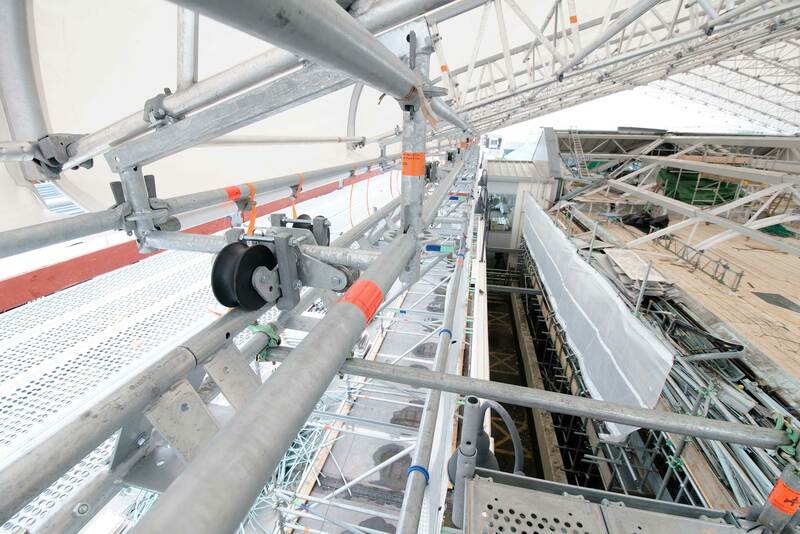 A total of 120 Layher 750 aluminium beams supported a crash deck to provide protection for the shoppers below as well as a further working platform for the refurbishment work to be undertaken. 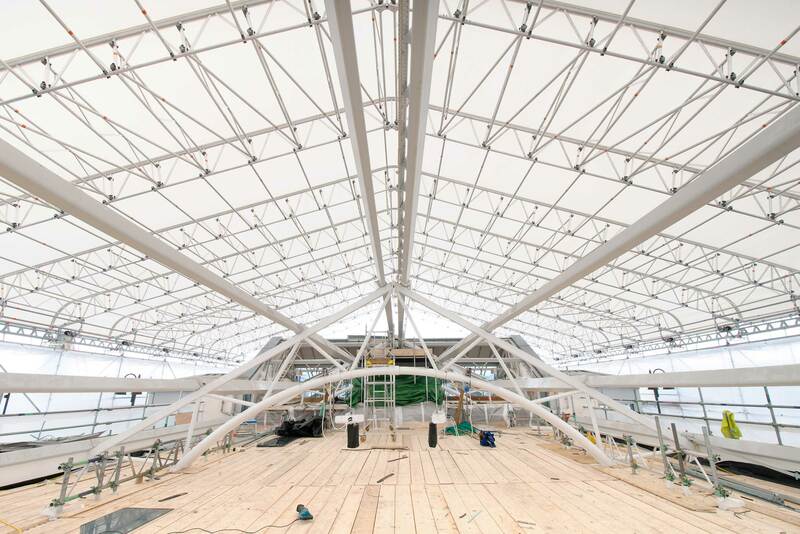 “The translucent tarpaulin sheeting at the heart of the Keder XL roofing design permitted natural light to enter the working area, avoiding the need for extensive artificial lighting,” says Layher’s UK MD Sean Pike. 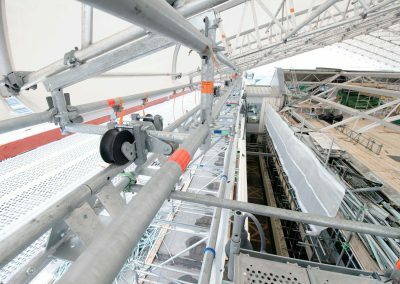 He also points out that the facility featured walkways along both sides of the roof structure to provide access for the ‘lock against lift off’ fittings, which secured the roof structure to the scaffold after re-location.